Everything just seems to be a race against the clock this time of year. Before kids I remember the run up to Christmas consisting of lots of meals out and pub time, maybe strolling into town for late night Christmas shopping… now it’s more rushing to the shops (did you know you buy Christmas presents for your kids teachers now? ), school plays, school trips, grottos, remembering to put the creepy elf in a cheeky scenario, and tackling a mountain of wrapping with a glass of Red, while crying at Love Actually. But in amongst the chaos it’s nice to have a posh looking pudding to throw together using ingredients you could pick up in the corner shop if need be. 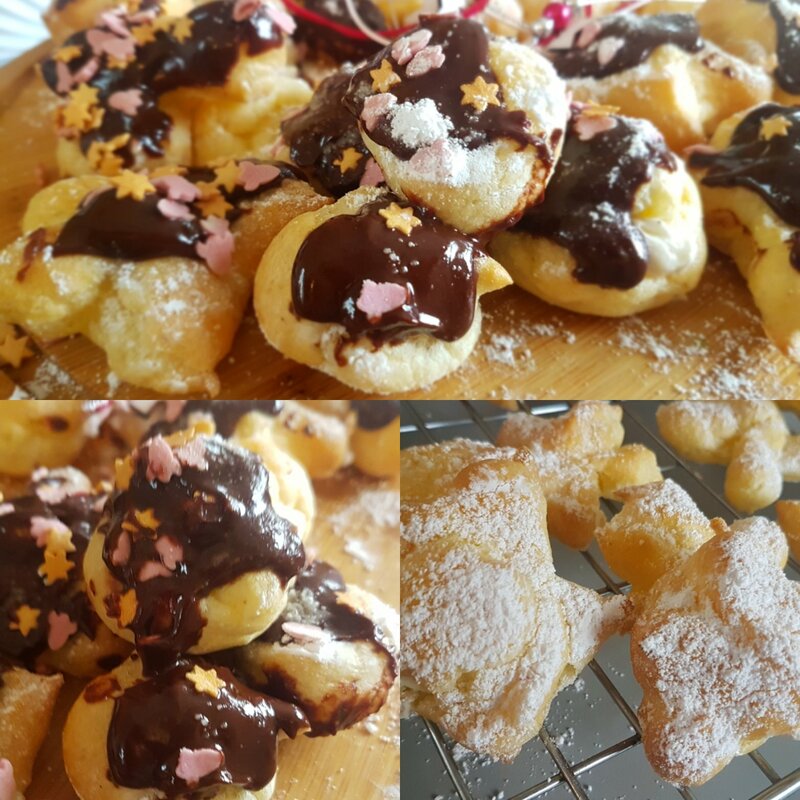 Profiteroles fit the bill completely, not nearly as complicated as you might expect and lots of lovely piping and decorating opportunities for little hands. They can also be made into savory cheese puffs by adding 40g mature cheddar to the choux and omitting the filling and topping. You will need a saucepan and whisk ( I used a balloon whisk), piping bag and 2 baking trays lined with greaseproof paper. 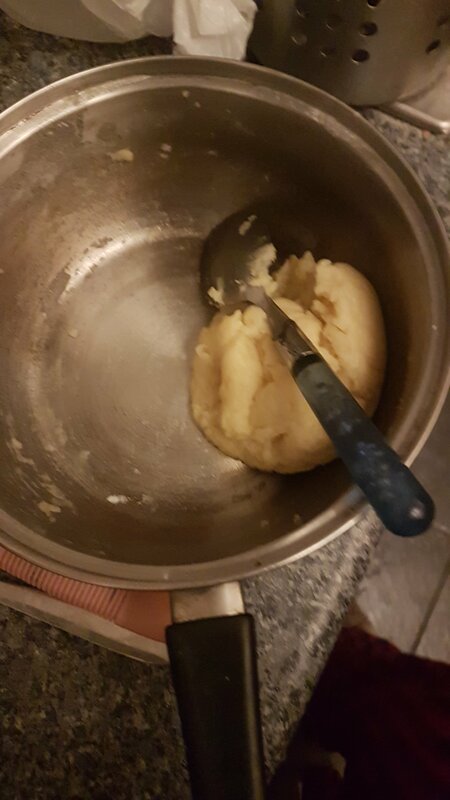 In a saucepan bring the water and diced butter to a gentle boil. 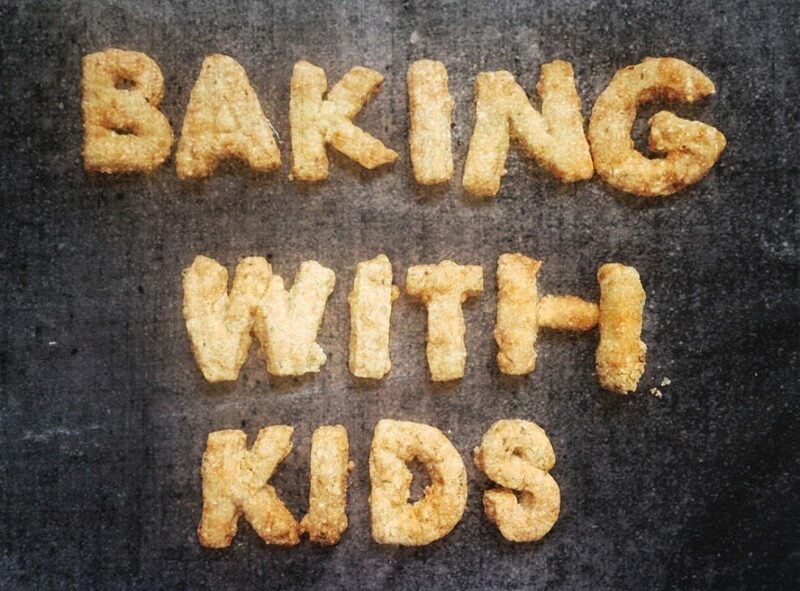 Remove from the heat and whisk in 80g plain flour until it forms a soft ball at the side of the pan. 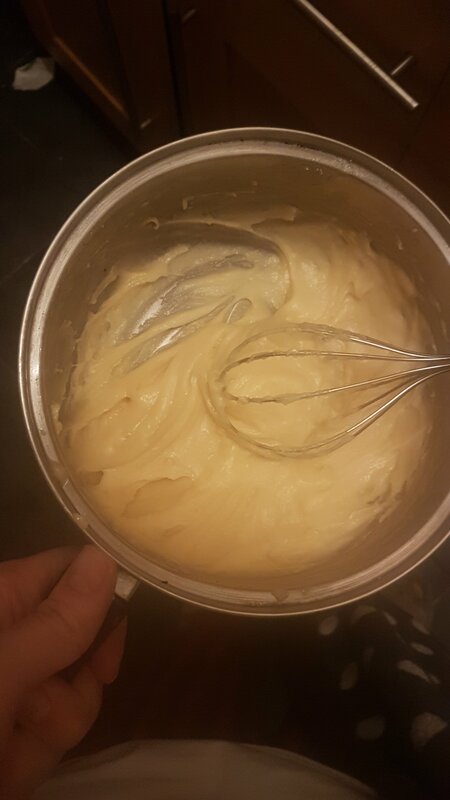 Leave to cool for 3-4 minutes then whisk in 2 eggs, 1 at a time until you have a shiny smooth paste. Pop into a piping bag and pipe small rounds onto 2 lined baking trays. Bake at 170°C for 20-25 minutes or until risen and golden. As soon as they’re out of the oven, make a small incision with a sharp knife to allow the steam to escape and pop on a wire rack to cool. To make your filling, whisk the double cream with 10g icing sugar and a teaspoon of vanilla until thick. Pop into the piping bag and pipe a small amount into each ball. To make the topping, melt the dark chocolate (either melt in the microwave in 10 second bursts or in a bowl rested on top of a pan of simmering water). Stir in a tablespoon of melted butter, 80g icing sugar and a few tablespoons of water to get a smooth consistency. Dip into chocolate or drizzle over and chill until your ready to serve.